Chicago's official visitor information center is open year-round at 111 N. State Street, within the historic Macy's on State Street shopping center. Located in the city’s downtown Loop, the visitor center is accessible and convenient to popular tourist areas such as Millennium Park and The Magnificent Mile. 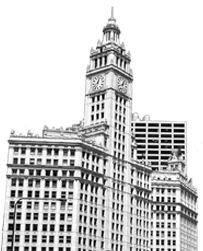 You'll find a dedicated team of local experts ready to welcome you and help make the most of your time in Chicago. Stop by for free brochures, multilingual maps and complimentary concierge services. The friendly and knowledgeable staff will help you navigate the city, plan customized itineraries, find restaurants and discover exciting attractions, sightseeing tours and events. Also nearby check out the discount Hot Tix outposts for half-price theater tickets to more than 200 local theater companies through the League of Chicago Theatres. One is located across the street from the Chicago Cultural Center at 72 E. Randolph Street and another is in Block 37 at 108 N. State Street. 111 N. State Street, Lower Level Visitor information center hours of operation reflect store hours. For details, visit macyschicago.com. For questions, comments or additional assistance, please contact the visitor services team or check our list of frequently asked questions. Whether you&apos;re traveling on a budget or with kids in tow, or maybe you consider yourself an architecture buff or foodie — we&apos;ve got our Chicago highlights ready to go. Take a look at our recommendations and you won&apos;t miss a thing!